If you have met that special someone and want to start a life together in Australia applying for a Partner/Spouse visa could be the way forward. If you are in a relationship with an Australian citizen, permanent resident or eligible NZ citizen you may eligible for a Partner Visa. It is important that you are in a mutually exclusive, genuine and continuing relationship. 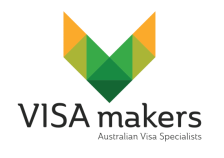 Partner visas can be applied for within Australia or overseas. Typically, on grant of the visa you would be given a temporary visa for 2 years with the option of applying for your permanent residency at the end of the 2 year period. For those who are keen to get married a better option may be the Prospective Marriage visa. For more information on these visas please click on the green visa buttons below.